Two days after winning BET's Best Male Hip-Hop Artist award, Kung Fu Kenny dropped another video to accompany his last LP, DAMN. Early this month I saw articles about Kendrick and Rihanna on the set for the single, "LOYALTY." When I saw the alerts that Kendrick dropped a new video, I thought it was for said single. Instead we get visuals for the track "ELEMENT." The song itself is a braggadocio track that depicts Kendrick's pre-fame life and warns the rest that he is willing to do whatever it takes to keep his current lifestyle. 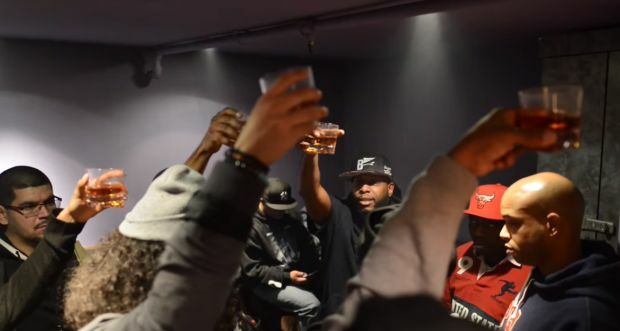 His struggles and hard work made him the man he is today, one that has a seat with the upper echelon emcees in the game. There are probably a million things that you could dissect in this music video, and I'm sure something new will stand out with every watch. There are very few frames with Kenny rapping, instead we get very strong and poignant visuals of aggressive and beautiful imagery juxtaposed with one another. King Kendrick keeps dropping gems on em. Yes, that was a Mobb Deep reference. And bringing it all back together, Kendrick thanked Prodigy in his acceptance speech. With Prodigy's recent untimely passing, it got me thinking about other Hip Hop duos that have had success with their group and solo projects. Outkast has to be up there. And I know technically Andre 3000 hasn't dropped a legit solo album, but I'm counting The Love Below. 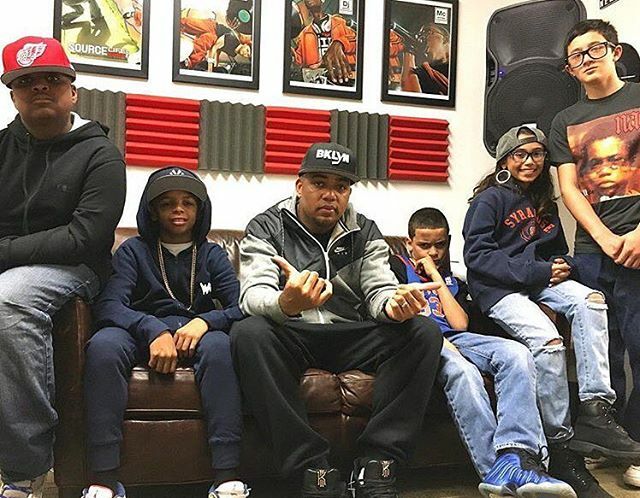 Plus, Stacks has a PLETHORA of features that could make an LP to rival any emcee. 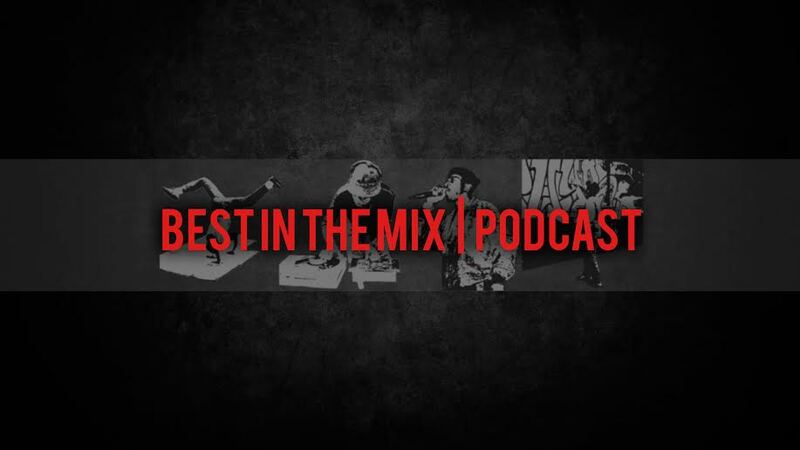 I could speak on the greatness of Stacks for days (he did come out on top of BITM's emcee bracket), but I digress. This article will focus on the other half of the ATLien duo, Big Boi. And specifically his third solo LP, Booomiverse (Big Grams was an EP, and really a collab). But since his solo debut in 2010 with Sir Lucious Left Foot: The Son of Chico Dusty, Big Boi hasn't been able to put together a complete offering that lives up to his potential. The 12 track Boomiverse is Big Boi's attempt to prove he can reach the heights of his Outkast days. Big Boi ends the intro track, "Da Next Day", pulling on your nostalgic strings with the spoken words of Big Rube. Most Kast fans know him as the intro and interlude voice that appears across Outkast albums (along with other Dungeon Family projects). The soulful track "Liberation" from Aquemini contains Rube's best bar (in my opinion), "you got more juice than Zeus". Overall the track is strong start for Daddy Fat Sax. BUT THEN, then we get the HARDEST track on the album. We've posted the single and video for "Kill Jill". So all I'll say is this, if you haven't peeped the track yet. Stop reading this article, go hear/view it ASAP, and come on back. The track "In The South" sounds like it was plucked straight from a Big KRIT joint (which is a good thing). 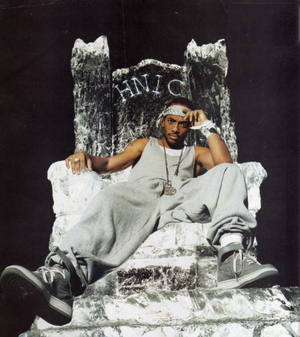 This one features Gucci Mane and Pimp C., and you get exactly what you expect, a straight south lean track (not in a bad mumble way). Of course Big Boi dominates lyrically and elevates the track all around. My second favorite track (or first depending when you ask me) is "Order of Operation". Big Boi drops lyrical and literal gems throughout the track (this might be the strongest lyrical track on the whole album). Don't know who Eric Bellinger is, but he lends his skills on the hook. Tracks like "Made Man" and "Follow Deez" provide gritty beats for Big Boi to drop hard bars with assists from Renegade El Rey, Kurupt, Killer Mike and Curren$y. Then there is the 80's funky/synthy track "Mic Jack", which is a bit out of place but not necessarily a bad track. Radio friendly tracks like "All Night" and "Overthunk" seem more contemporary. But seem out of place, especially when you only have 12 tracks to play with. And the Snoop feature on "Get Wit It" has strong West Coast influenced instrumental, but doesn't hit as hard as it should. Especially when bringing these lyrical titans together (for the first(?) time). The overly techno infused "Chocolate" might become a club favorite, but isn't one that I'll go back to that many times. At least not sober. And "Freakonomics" feels like a Ludacris track from his Blueberry Yum Yum days. Again, a bit out of place. 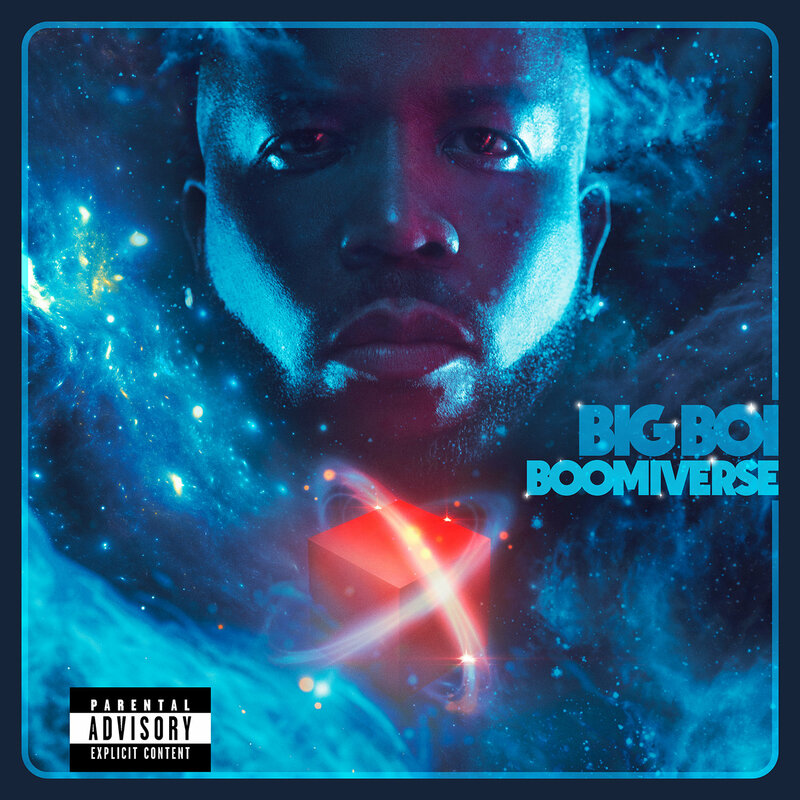 With a dozen tracks, Boomiverse falls a bit short in terms of cohesiveness. And I don't want to the tell a legend "to stay in his lane", because that's not the case at all. I do think Stacks has mastered the ability to jump on ANY track and be more lyrically..malleable (let's go with that). But Big Boi was always able to "keep up" with the more eccentric Outkast member. And you can see the paragraph of "pros" is much larger than the "cons" one. When the album hits, it HITS. But here are a few meh tracks, and a couple of tracks that shouldn't have made it to the final product. Big Boi delivers range throughout the project and his lyrical prowess is front and center. But the tracks with other lyrical emcees and subjectively better instrumentals shine brighter. His potential as an emcee is what makes his true fans judge him harsher (that's a word right?) than others. Big Boi notches another solo project that comes close to reaching that bar, but leaves fans wondering what a record that reaches that bar might sound like. About a month and some change ago, BITM's own jet setter Irish Ninja posted the single "Kill Jill". The Big Boi track assembles a monstrous SOUF trio by tagging Killer Mike for a verse and Jeezy for the hook. If yall peeped Irish's post, you know the instrumental for "Kill Jill" is a straight shake the concrete head banger. The video has the standard Hip Hop video tropes (whips, chicks, jewelry), but adds that Big Boi flare with a freaking lion, kings throne (like Game of Thrones type), and throws in Asian influenced visuals to wrap it up. 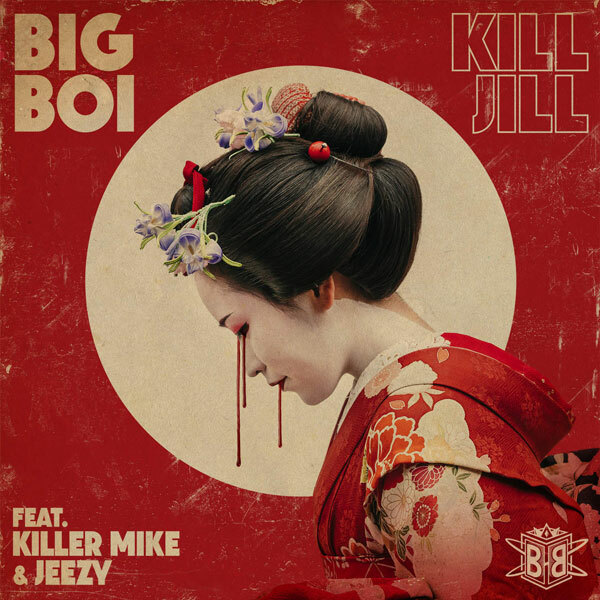 "Kill Jill" is the second single from Big Boi's upcoming album Boomiverse, dropping on June 16th. We might get another track before then, but if we don't, Big Boi definitely did himself a favor by releasing this joint. With a single this strong, you can only expect a solid effort from the vet.